Daily Oro Valley/Tucson Loop Bike Rentals! 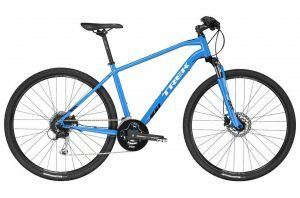 $49/per bike/pickup and delivery at path! 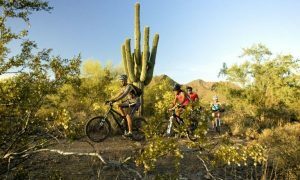 When looking to start your Tucson biking vacation, road cyclists and mountain bikers overwhelmingly choose Oro Valley, Arizona as their Tucson vacation headquarters. Cyclists and casual bikers love our wide open roads and spacious bike lanes. Oro Valley has nearly 80 miles of bike lanes and paths. Oro Valley is a starting point for the El Tour de Tucson. We offer Tucson and Oro Valley’s largest selection of rental road, mountain, hybrid and kids bikes. We pickup and deliver rental bikes daily to the Oro Valley/Tucson Loop Bike Path as well as HoneyBee Canyon trail on a daily by appointment basis. 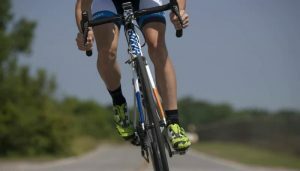 Oro Valley Bike Rentals: Pickup/Return from 6 am to 10PM! Pickup your bikes as early as 6 am or pick them up the night before. Enjoy your Tucson cycling vacation hassle! Return your bikes as late as 10pm! 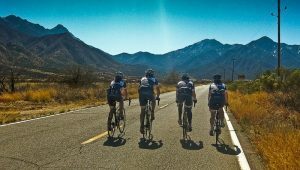 Oro Valley/Tucson Loop – 135 Mile Bike Path Starts in Oro Valley! 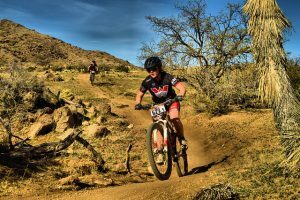 Looking to do some mountain biking at your favorite Oro Valley or Tucson mountain area bike trail? We will deliver mountain bikes to HoneyBee Canyon Trail. We pick up and deliver to Arizona’s most scenic and popular trail. Don’t mess with damaging your rental car! 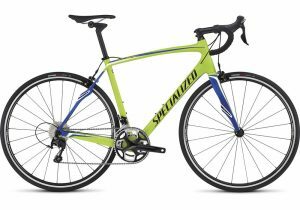 Just show up we provide top of the line Specialized and Giant TUBELESS tire bikes with pedals of your choice! Mountain bike the famous Epic Rides 24 Hours in the Old Pueblo race course just north of Oro Valley. Fun, challenging, beautiful and plenty rigorous. 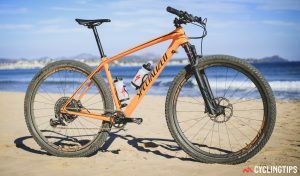 Grab a hardtail mountain bike and let loose! 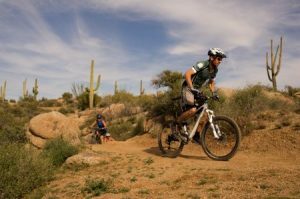 Arizona’s most popular, scenic and historic trail comes alive on hard tail mountain bike! Discover Saguaro cactus, ancient petroglyphs, Indian ruins and Tucson’s fast, curvy fun, perfectly manicured trail loop. Ready for a fun technical; challenge? Mountain bike with the Catalina Mountains in the background with some technically challenging single track trail. Just north of Oro Valley, this ranks as one of Arizona’s most scenic trails. The Rillito River bike path also know as “The Loop” is a great ride along the river beds of Tucson. 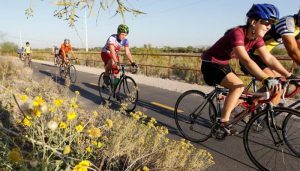 This bike path offers the leisure cyclist some of the best cycling in Tucson. The ride is up and down, down and up with great thrills to be had in between. Accidents happen here as many cyclists fail to control their speeds. And there are few places in the world that offer more varied and challenging mountain climbs than Tucson. 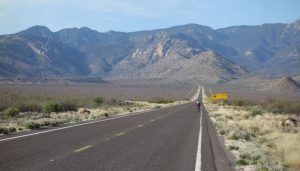 Road biking in the Tucson/Oro Valley/Southern, Arizona is great. Be prepared. Tucson is well-known for goat heads, a form of cactus that causes many flats. This site is copyrighted by Adventure Bike Media, LLC - all rights reserved.